I hope that you and your family enjoy a wonderful holiday season together. My thanks to all of you who have made 2011 another successful year as we have grown together. For me, the best part of my mentoring is that I get to help serious traders advance in their trading and along to way they become my friends. Thank you all for your friendship. Hello Jeff: This is a quick note before the year is over just to THANK YOU for a wonderful experience in 2011 and to wish you and your family the VERY BEST FOR 2012!!!!. So far getting to know you and being able to work with you has been a great experience for me. 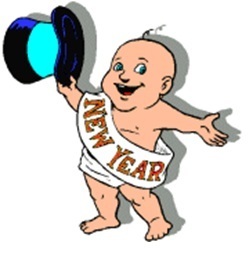 I am looking forward to continue working in 2012 and to keep in touch after the program is completed! THANKS one more time and BE WELL, Ernesto. My longtime friend Danny Riley talked about his experiences taking orders from some of the largest S&P traders in the world during March’s $aturday $trategy $ession. The photo-shopped magazine cover on the left was sent to me by, as I like to say, “my favorite trader in all of Santa Clara County“. 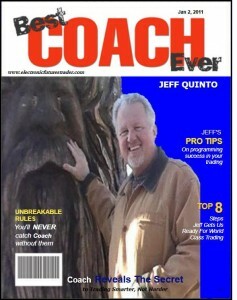 He knew that I would appreciate his sentiment in creating the magazine cover. As for me, I am proud of the traders in my Mentoring Program starting with the aforementioned trader from Silicon Valley. Each trader is someone who has made a serious commitment to their trading and to the extent that I can help them, I am pleased. 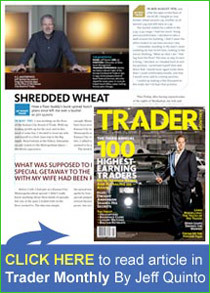 Whether 2011 is a great trading year or a tough year, I do know that the traders in my Mentoring Program will capitalize on whatever the market has to offer. 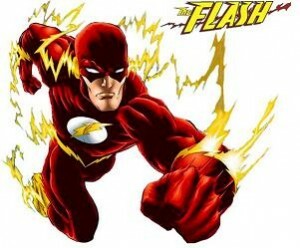 Flash Crashes, Quote Stuffing and Banging the Close – Oh My! There is a whole new language of electronic trading being invented. Since the May 6th “flash crash” in which the Dow Jones Industrial Average fell 700 points in a matter of minutes, reports of “quote stuffing” and “banging the close” have been in the news. Much of what happened during the “flash crash” was the result of liquidity in the market for a given stock being split between numerous locations. Some of what happened was the result of opportunistic traders trying to game the system. And, some of it was simply much to do about nothing. In the category of attempting to game the system, “quote stuffing” has to rate at or near the top. “Quote stuffing” is when a trader enters thousands of orders into the market electronically in order to slow down the market for a given stock in hopes of disrupting the market and, thereby, exacerbating the stock’s fall in price as other traders are prevented from entering orders. The Wall Street Journal reports that at one point during the “flash crash”, orders for Abbott Labs went from 30 per second to over 10,000 in one second with all but 14 orders immediately cancelled. I do not know the rules in the stock market, but in the futures markets this would have resulted in serious consequences for the traders and the clearing firm involved. “Banging the close” is another new term meant to describe when a trader puts orders into the market at the very end of the trading day with the intention of pushing the market one way or another. The trader’s purpose in “banging the close” is to make his position look better than it would have looked otherwise. The term “banging the close” may be new, but trying to push the market in a favorable direction at the end of the day predates all of us. When I traded on the floor, certain traders would try to move the close one way or another to enhance their position. This practice didn’t have a name, but it did have a face. The face was that of one of the older grain brokers who would turn bright red as he sold the current future with the intention of pushing the market to a lower closing price so that his cash grain firm could buy grain overnight using a lower price than would have otherwise been possible. This, however, was not a one-sided trade. Realizing that the red-faced cash grain trader would be selling the nearby futures contract on the close, other traders would sell the next month out at the beginning of the close. Then, these other traders would buy the nearby month at the lower price from the red-faced trader; thereby, putting on the spread at a slightly better difference than would have otherwise been possible. My experience seeing traders try to push the close in one direction or another would indicate that, even when pushed higher or lower at the last second on the close, the market will return to where supply and demand dictates when the market reopens the next day. As to trading stock on various competing marketplaces, I have little personal experience as I have always traded futures. However, it stands to reason that the “flash crash” was, in part, the unintended consequence of diverse competing stock markets that work well when things are quiet, but lack the depth of liquidity and supervision to handle dramatic increases in volatility. Futures, on the other hand, have one centralized, well-regulated market for each important contract. When something unprecedented happens, a la the “flash crash”, you stand a better chance of having a predictable outcome in the exchange traded futures markets than you do in the fragmented stock markets. 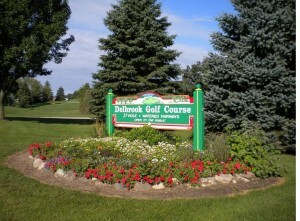 I restarted my golf career, this year, after a ten-year hiatus. The last time I played golf with any regularity, the only thing regular was my position as the worst player in whatever group I played. I took a few lessons, but I never practiced. Finally, after one particularly embarrassing round, I decided that I would never play golf again. 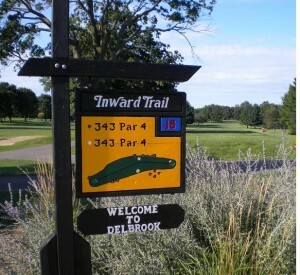 This year, I was invited to join a regular foursome from our neighborhood at the lake that has been playing together every Saturday at 7:05AM at Delbrook Golf Course for twenty-five years. 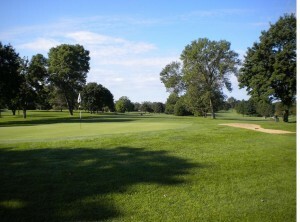 I was excited to restart my golf game and vowed to take lessons and to practice. For the entire summer, I dutifully played at 7:05AM on Saturday with my friends. Each week, I would have a smattering of great shots mixed with an otherwise pitiful performance. On every Saturday, except for one, I had the highest score in our foursome. At the end of the match each Saturday, I vowed to get serious and practice before the next week, but I never did. I even vowed to take some lessons, but, once again, I never did. Without any practice and without any lessons, I remained almost as awful at the end of the summer as at the beginning. I know that taking lessons would help me and I am sure that time spent on the practice tee would be rewarded with better performance. I realize that I am destined to remain exactly where I am, like it or not, because I will not do anything to help myself. Struggling traders are often just like that except, in the case of the struggling trader, finding someone to help them is not so easy. Certainly, there are all kinds of trading courses available, but after a trader has taken several of these only to find that they are a waste of time and money, he doesn’t know where to look next. This is where my Electronic Trader Mentoring Program comes to the rescue. I help traders get serious about their trading. I show them how to practice to perfect their trading skills. I give them the tools and the coaching to move beyond the place where they are to the place in their trading that they deserve to be. I am not much of a golfer, but I am a damn good futures trading coach. My Mentoring program is filled through the first of October, so if you want to get serious in your trading give me a call. Struggling traders looking to move from frustration toward trading success. 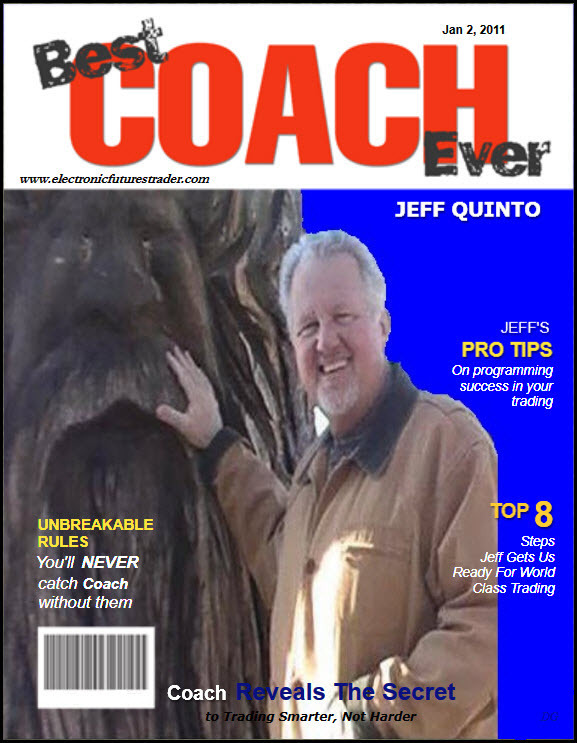 Jeff has been called “America’s Preeminent Futures Trading Mentor“. For the first time, he offers you the benefit of his 37 years of successful futures trading expertise in a 12-video course so that you can learn at your own speed in your own time at a fraction of the one-on-one charge to work with Jeff individually. Four Steps to Success in Futures Trading - Success starts with a mindset. We start by establishing that mindset as well as how to set yourself up for success. The why and how of using a futures trading simulator – The trading simulator should be an important tool in starting your career as a professional trader. Learn how to use it to your maximum advantage. My Theory of Trading – Jeff explains his personal Theory of Trading to help guide you to your own. 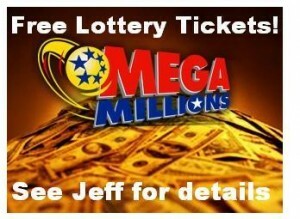 You may decide to use Jeff’s theory as your starting point. Develop a customized trading plan using Jeff’s Trading Plan Template – The Trading Plan including specific setups will be given to you in a clear, understandable fashion. From this day, forward, you will have your own professional Trading Plan. Setting up your charts to execute the trade setups from your new Trading Plan – Jeff shows you exactly how he sets up his charts and how he uses them to signal the setups he shows you. 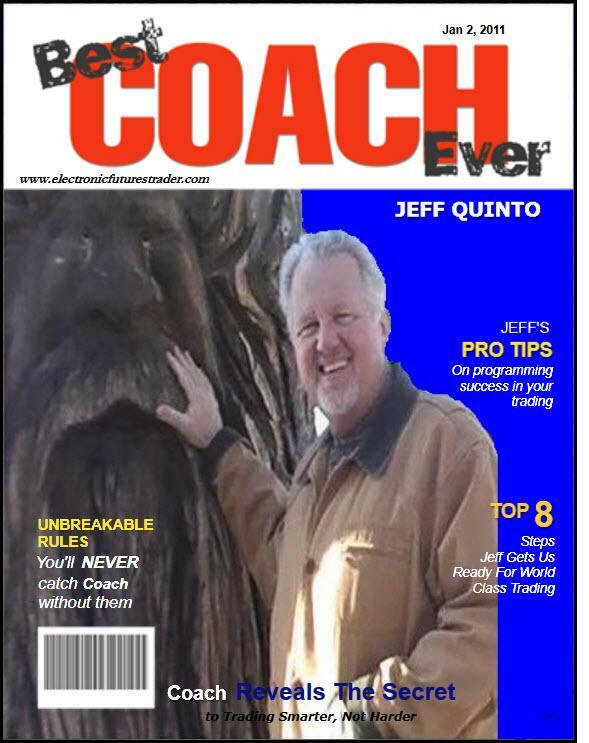 The Method to My Madness – Jeff’s Five Steps – Jeff explains the step-by-step process that this course envisions in helping you go from a new and unsure trader to a confident professional, one step at a time. Immediately and profoundly – A good trade works immediately and profoundly. See how this mindset can help you advance in your trading. Programming Confidence – Learn how to program yourself for success even before you attain that success. Grading Your Trading – Learn how to monitor your progress and how to grow from an “F” trader to an “A” trader one grade at a time. The Eight Steps to Success in Futures Trading – Lastly, you will learn what you will need to do to become the long term success in trading that you want. For a limited time, the $1,295 Foundations of Futures12-video course will be $995. This is a $300 savings. Also, included is 3 months of Full Access Membership in professionaltradermentoring.com, a $150 value. For further information, e-mail info@professionaltradermentoring.com or call +1-312-685-5333. Everyone would agree that finding Free Lottery Tickets would be a great thing. What if I told you that your trading, done correctly, should yield trades that produced, you guessed it, Free Lottery Tickets. In my Electronic Trader Mentoring Program, I show traders how to convert successful trades into what I like to call free lottery tickets – trades where the risk of loss is zero and the upside is unlimited. Does that sound like a great idea, or what? Successful professional trading is not about enduring pain from losses, as many traders seem to think, and it is not about taking small profits, regardless of how satisfying it feels to take a profit, even a small one. It is, instead, about cutting losses and exploiting profits. That is why I use the description of a good trade becoming a free lottery ticket with traders I coach. Then, and this is an important “then”, let your runner run. Giving a runner the breathing room to become successful is the second half of a free lottery ticket. Too often traders are so excited to see a winning trade go in their favor that they jump out, afraid that the market will retrace and take away the profits it has grudgingly given them. However, the way to make real progress in your trading is to give runners the room they need to reward you to the fullest extent possible. Allowing runners to properly reward you is done by not trying to get the high of a move, but by staying in the move until the market changes. Following your runner with a loose stop will allow you to give it the room it needs and, at the same time, capture most of the run. Letting a runner run is the penultimate skill for a trader. The ultimate skill for a trader is adding to a winner, but that is the topic for another day. If you would like to learn how to earn your own Free Lottery Tickets, you should look into my one-on-one Electronic Trader Mentoring Program. Spaces are filling up for the fall, so don’t delay. You will want to secure your place before another, more serious trader beats you to it. I was mowing the grass on my side yard, last Friday when I felt a sting on my right ankle. I looked down to see a bee with bright yellow stripes stinging me through my sock. I was being attacked by bees! 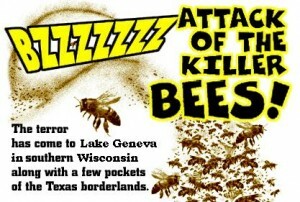 My immediate thought was of the killer bees from the TV movie of the same name. Seeing no point in standing there frantically swatting one bee and then another, I ran around the house to the back door yelling at the top of my lungs that I was being chased by bees so my wife could ready whatever remedy she had for bee attacks. One of my neighbor’s grandchildren saw the whole thing and has locked himself in his room where he will probably stay until they take him to therapy, next week. I have always prided myself in mowing my own lawn. I know that from a purely economic standpoint, anyone making over $45,000 a year would be better served by having someone else mow their lawn. Mowing my lawn walking behind my self-propelled lawnmower is good forced exercise, every week.